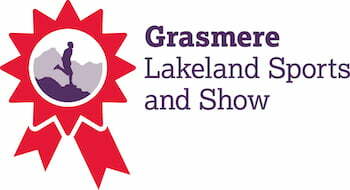 The 2019 Annual Grasmere Lakeland Sports, now celebrating 169 years of existence, had its origins in the mid 19th century at the annual Grasmere Sheep Fair which took place on the first Tuesday in September. The Sports were largely social occasions to round off the working day, but with shepherds, stone-wallers and strong young farmhands for hire, in attendance, it would be natural for a competitive element to be introduced into the Garden Fete atmosphere surrounding these Fairs. Long before any major athletic sports as we know them today were held at Grasmere, wrestling events were a favourite at many venues in the North of England. In 1811, the Marquis of Queensbury and Lord Lonsdale were among the 12,000 people who watched the wrestling at Carlisle Races. It is recorded that ‘sports' were held at Ulverston in 1832, and probably much earlier. In 1851, Ulverston was the location of at least one major wrestling match for the championship of all England (with a side bet of £300). It was watched by 10,000 people. This was in the days when factory workers were lucky to earn 15 shillings in a week.With the coming of the industrial revolution and the demand for wool in the Lancashire mills, sheep fairs became even more of a focal point for local farmers, farm hands and employers, and also provided an annual opportunity for families to socialise. Wrestling on the village green in the evening following the Grasmere Rushbearing in August became a feature. The most notable wrestling championships in the Lake District, were held in Windermere at The Ferry Sports and Regatta. When Charles Dickens visited the Ferry Sports in 1858, he recalls how, between the lightweight and heavy weight wrestling, ‘there are all sorts of other amusements; running matches, for a mile or so; dog trails; jumping matches..................but the greatest of all treats at the Ferry is the pole leaping.....' The railway had arrived at Windermere in 1847, providing easy access to Lake Windermere for the better off to enjoy the yachting events and regattas associated with the Ferry Sports. More and more tourists began to arrive by train and then travelled deeper into the Lake District on foot or by horse and carriage along dusty roads, and the Ferry Sports began to lose their unique position as THE sporting venue. Thursday was early closing day for shops and this was one reason for settling on 'the Thursday after the third Monday of August' as Sports Day. Over the years, working conditions, social behaviour and alternative interests have led to various changes in the timing, and today the Sports take place on the August Bank Holiday Sunday. .............. the following year  the sports were separated from the Fair and held about a fortnight earlier.......... It was 2 years after this that the Grasmere meeting began to assume the importance that has annually been expanding ever since, when amongst others that took an interest in the supervision, were the Earl Cadogan, Sir Robert Farquhar, Major (now Colonel) Ridehalgh, Captain Bousfield, T. Uflock, T. N. Wilson, Robert Goff etc............. So successful did this event prove, that the residents of the eastern portion of South Westmorland, with a little envious feeling no doubt, at once jumped to the conclusion that the simple secret of success in enterprises of this description was the securing of a live Lord to head the list of patrons, and big with this idea, it was arranged to hold a meeting of much more extensive scale, the following year at Kirkby Lonsdale, with some management attraction, as would ensure the annual attendance in the future, not only of Cumberland and Westmorland, but Yorkshire, as well as many more distant lands. The links between the church and sport, wrestling in particular, were quite strong in the 19th century. Some of the best exponents of Cumberland and Westmorland style wrestling were clergymen. Others gave up a wrestling ‘career' to enter the church. The Rev. Abraham Brown, an Anglican priest from Egremont, was said to ‘wrestle with bodies during the week, and with souls on Sundays!'. William Litt, author of ‘Wrestliana' and a fine wrestler, was at one time destined for holy orders. William Baldry, in his role as the village schoolmaster, was instrumental in establishing the Grasmere Cricket Team and the pitch at Pavement End. Whilst it was never very successful, going by available results, it brought together several sporting personalities who would later be so influential in the Sports development. The Reverend H.D. Rawnsley M.A., Canon of Carlisle Cathedral and vicar of Crosthwaite, who, whilst not known as an active participant, was a very active patron and strongly supportive of Grasmere Sports in the latter part of the 19th, and early part of the 20th centuries. There is no doubt that his influence with the clergy, together with that of the ‘Yellow Earl' - Lord Lonsdale (the 5th Earl), in inviting Northern dignitaries, politicians, Bishops, and even Royalty on one occasion, to the Sports, had much to do with their success around the turn of the 20th century. These contacts in high places, coupled with the organisingl skills of Joseph Fleming Green, a local slate quarry owner, who was the Honorary Secretary from day 1, plus the authority and experience of Colonel Ridehalgh, the first Chairman ‘captured' from the Ferry Inn Sports, helped to give Grasmere Sports a style which became the envy of similar Northern events. The invitation for Lord Lonsdale and others to become 'Patrons' added the icing to the cake and was guaranteed to attract large crowds of 10,000 or more spectators to what became the Blue Riband Sports event of Northern England.. Grasmere soon became THE place for athletes to compete, and THE place for ladies to parade their latest fashions. The 3 main sports attractions at Grasmere, have always been the Fell Race, or to give it it's correct name The Guide's Race, Cumberland and Westmorland style Wrestling, and the Hound Trails. Thanks to the enthusiasm of those early motivators, The Annual Grasmere Lakeland Sports took shape, and by the early 1870's, were well enough established to attract the best athletes in the north. The prize money was not the best, but what was available, was spread as widely as possible amongst those taking part. It soon became more important to win a coveted Wrestling Belt at Grasmere than a large cash sum elsewhere. After the first recorded 'sports meeting' proper in 1852, the lack of records suggests that either local interest was not aroused, or the competition from established events such as The Ferry Sports in Windermere, was too great. But, due to the enthusiasm of Fleming Green, Baldry, and like minded sportsmen, all that soon changed, and since 1868 the Sports have been a regular annual event, unbroken except for the two periods of the First and Second World Wars.